I really hate the scale. Hate it. But I have three of them right beside my bed. I stare at them each morning when I wake up, whether I'm on plan or not. The number on the scale is either my friend or my enemy. For the past couple of weeks, it has been my enemy. First of all, my "best" scale is in need of a battery, so it's now as unreliable as the two that sit beside it. 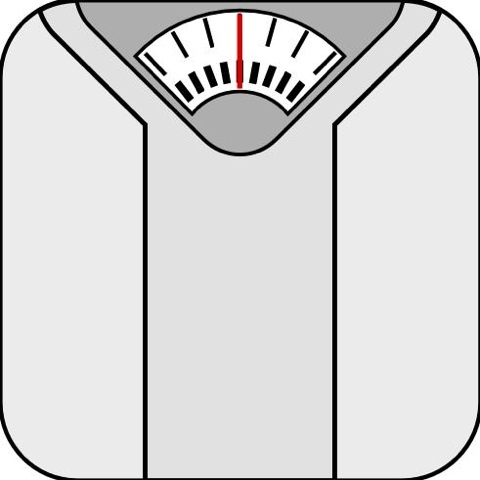 I haven't really been able to get an ACCURATE weigh-in since I started my 90-day challenge. But I still step on the other two, hoping for a downward trend. Which I can't seem to get. I am beginning to get frustrated. I KNOW I am losing... something. My clothes are looser, and I can SEE a difference in my face and mid-section. But I need to see a number! It's all mental, I know. So today, I am doing two things. I am buying a battery for my "good" scale. And I am going back to counting calories. Over the past few weeks, I have had a few people mention that I might not be eating ENOUGH calories. My vi-shakes keep me so full that I'm never hungry anymore. So I am not really having snacks during the day, just my two shakes and a salad or something else light for dinner. But then I am also just coming back from a week of vacation where I ate out every night... I am just unable to see a "trend" right now, so I am going to count calories with the MyFitnessPal app so I can SEE what I am doing. In the past, this works for me. Even though I HATE counting calories, I know it works. I am claiming full success over the last 30 days. I am exercising at least 5 times per week. I am drinking 2 vi-shakes per day and eating fruits and veggies like crazy. My choices are good. My water intake is good... not great. And I feel amazing. It's all going well, except the scale. So I really feel like if I track religiously for the next 60 days of this challenge, I will start to see what the problem is and therefore see the results I know I deserve. I'm off to the gym! I thought I was the only one! However NONE are next to my bed...they are all in my bathrooms. Yikes, 3 scales! I would have nightmares with those things so close to me. Kudos on all that you are doing. The scale will move. I've been tracking every bite using MyFitnessPal for 7 weeks now and believe it is key to my success right now. I am too weak to try any other method right now. Keep going. The water, fruits, veggies exercise is all doing your body good. I have been at the gym 3 weeks now and loving it. BUT although I was making better choices I was not tracking my food or counting calories. I went back to good old MFP yesterday. Gym plus tracking has got to be a good combination. My scales are going flat. I am thinking I want to avoid buying new batteries. I hate that I get so depressed when I hop on them. I am thinking weighing at the gym once a week and mesurements every two weeks is my aim. I get discouraged over the scale as well. I only weigh once a month and do measurements once a month. It's all about measurements. That's the best indicator of progress. The scale shouldn't matter as much. 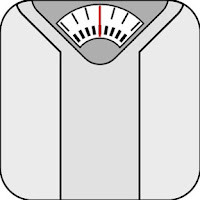 You want to loose fat and gain muscle and the scale will not tell you this because muscle weighs more. Adding muscle will help you burn more calories throughout the day as well. Hollie, I'm not sure how we became friends on facebook, (must have a mutual friend somewhere!) but I happened to see your post about whether you eat the calories you've burned at the gym etc etc, which led me to your blog. So excited for you and what you are accomplishing! I too have been working very hard to get my weight off. I have 56 pounds off so far and 28 left to go. Just wanted to give you my 2 cents about something you said regarding not eating snacks anymore, just 2 shakes and a salad, followed by talking about not seeing a drop in the scale lately. I do agree with those that are saying you aren't eating enough, and also not often enough. You will see incredible results if you do not let yourself go more than 2-3 hours without eating. Your overal calories are VERY important, but just as important, (and some say MORE important) is this rule of 2-3 hours. You have got to spread your calories out so you are eating 5-6 small meals per day. Try it for a week and see what happens. Not only do 99% of fitness experts recommend this, it is scientificly proven to show your metabolism increasing substantially and burning more fat when you really do it. I know it's tough, but plan ahead and it is very doable. Let me know if this helps at all! :) Keep up the awesome work!!! Day 37 - Eating what I burn?